A beautiful thing about Judaism that I’ve always loved is how it unifies us. It is that familial connection we feel when we meet another Jewish person in a space we wouldn’t expect or that feeling of going somewhere new for a Shabbat dinner only to have familiar matzah ball soup. There are things about Jewish culture that unites Jews from every corner of the world. A thing that may be divisive, however, is our ability to read, write, and speak Hebrew. Some Jewish people live in Hebrew-speaking households, whereas some only know the alphabet. And this is the language of our people, people. Learning the Hebrew language is a tree-trunk with many different branches. Branch: some consider it the “Holy Language” used in the Torah, the language that some Jews won’t speak unless it’s in a biblical context. Branch: it is infused with symbolism and spirituality, involving things like the shapes of the letters, the white space around the letters, and how the letters fit together in the words they form. Branch: it is the language of the Land of Israel that 8.5 million people speak today in the grocery store, movies, and any other secular setting. Branch: it is a historical language with the sociological preservation that is enticing to linguists. And I’m sure, many more. Today, there are more and more non-Jewish Hebrew speakers. I find it interesting to analyze the trend of Hebrew in a sociological sense. It was once only a biblical language understood as the “Word of God,” riddled with mystery and up for interpretation. With its secular-view today, it is seen as any other language that is both contemporary and historical. Jews and non-Jews alike are learning Hebrew for reasons that stretch far beyond the roots of the language itself. I decided to enroll in a Hebrew class in college because I thought it would be interesting to divulge in more of my Jewish culture through a secular lens. Learning Hebrew was stimulating for many reasons: it wasn’t a Latinized language, it’s the language they speak in Israel, and it was something different, something fun. Since my times taking Hebrew tests are (seemingly) now over, I was searching for a way to keep my Hebrew up and keep that part of my brain clicking. My co-worker was feeling similarly, so we decided to start a Hebrew book club. We both contacted our Hebrew teachers to gather reading suggestions for our level of Hebrew and our book club was off! Through Hebrew, I feel that I’m learning a new language, connecting with the language of Israelis, using my brain, doing something interesting and different, while still exploring the Kabbalistic mysteries behind the letters. 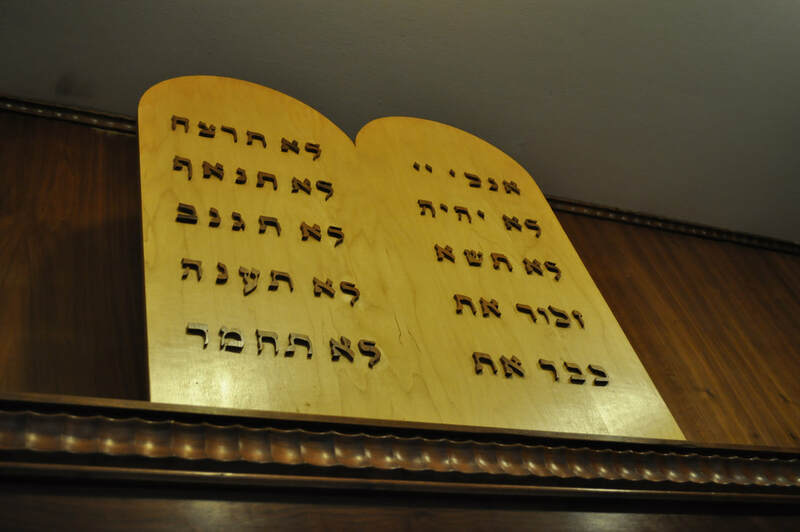 Perhaps learning Hebrew is a part of Jewish culture that you may not have delved into yet, perhaps it’s not something that you’re ever considered as part of the Jewish culture you know. Maybe you’re a fluent Hebrew speaker and take it for granted? No matter your Hebrew experience, I urge you to investigate further into the Hebrew language. It is a way to connect backward in time while still remaining contemporary. It is a lesser-visited dimension of Jewish-American culture. Besides, this Semitic language is loaded with challenges like being written right to left, shorashim (roots), and all the different mixtures of tenses, biblical contexts, and of course, those mystical encryptions. There’s something for everyone to learn.